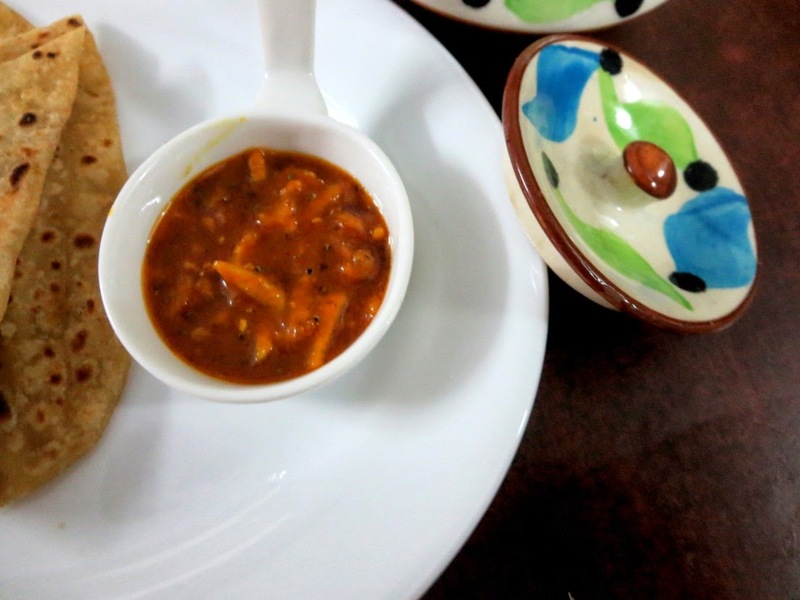 For the Indian Cooking Challenge this month, I was really late in selecting a recipe and had to really struggle till the last moment wondering what to do. With a trip and cooking for the regular BM and the mega marathon, really kept me on toes. That I completely forgot until I got a request to join Indian Cooking Challenge from Varada. I suddenly realized I could ask her to suggest something and she suggested couple of them and we finally settled on this instant pickle that really felt like it will work out well for me. 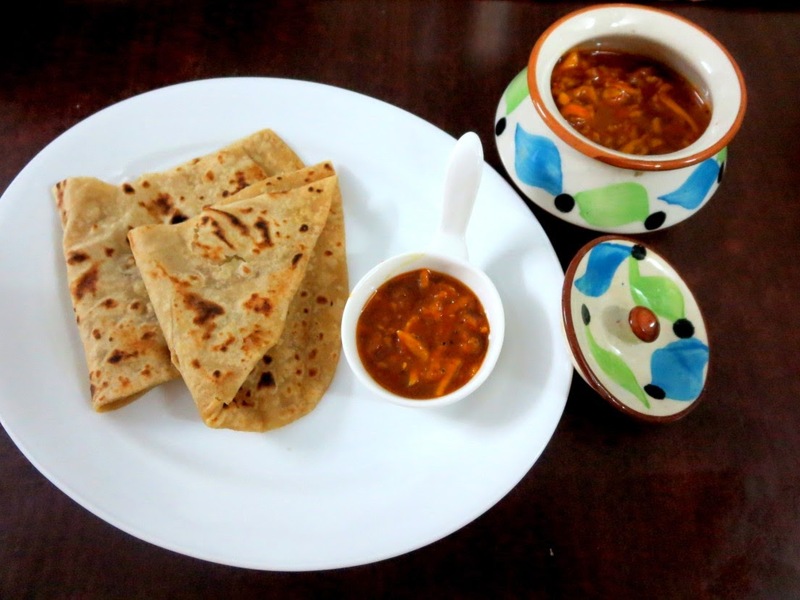 The recipe shared today is from Varada's Mom. I was sure I could manage to make it at the last moment as it was instant types. This pickle tastes very different from our south indian pickle as this has jaggary and almost tastes like Morabba. So I felt I could easily pair it with stuffed paratha. 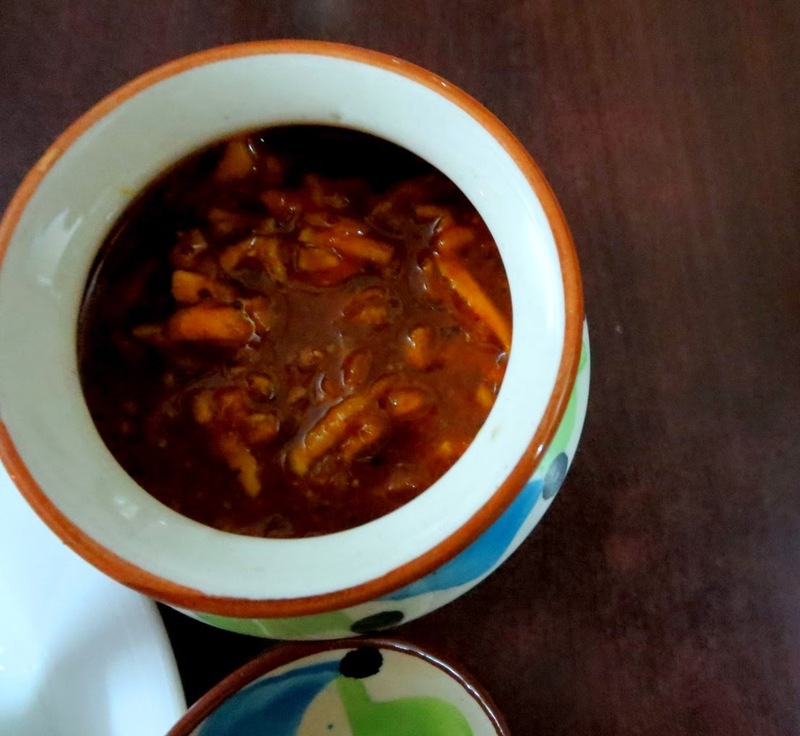 This pickle truly keeps up to the instant nature and is very quick to be made. Though I only attempted very small amount, the measurement suggested by Varada might actually result in a huge batch. 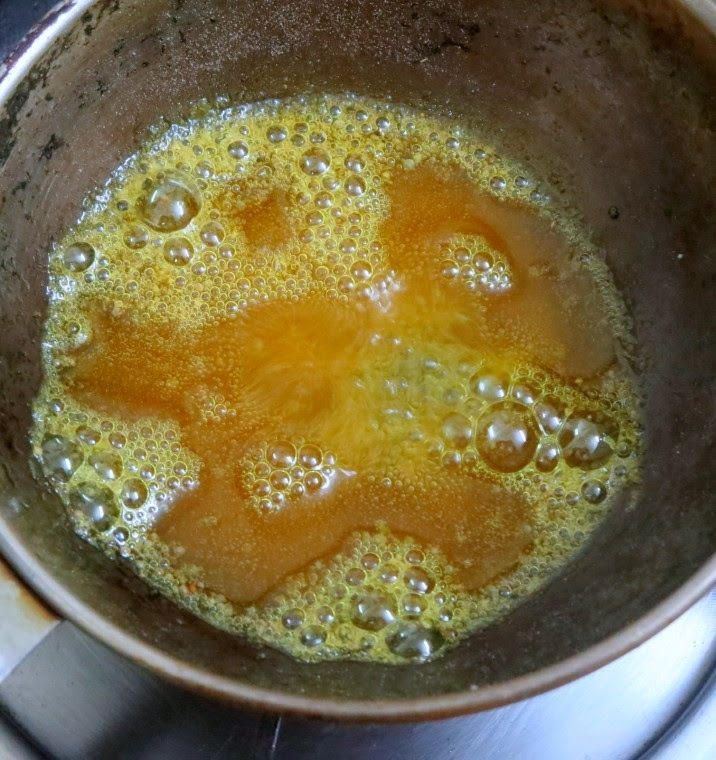 Turmeric powder - 1 tbsp. Wash, pat dry the mango. Peel the raw mango skin and remove the seed and dice. Grate it using a bigger mouth grater and keep aside. Heat the oil for tempering in a pan and add the mustard seeds. When they crackle add the other ingredients for tempering and turn off heat. Let it cool completely. 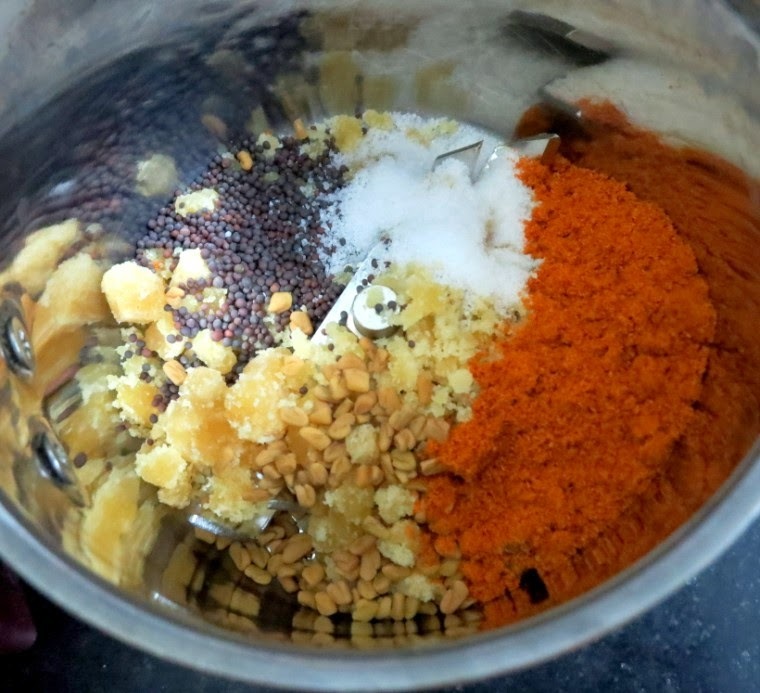 Grind the mustard seeds, fenugreek seeds, turmeric powder and red chili powder with 1/2 a cup of water into a fine paste. Blend in the jaggery and the salt. 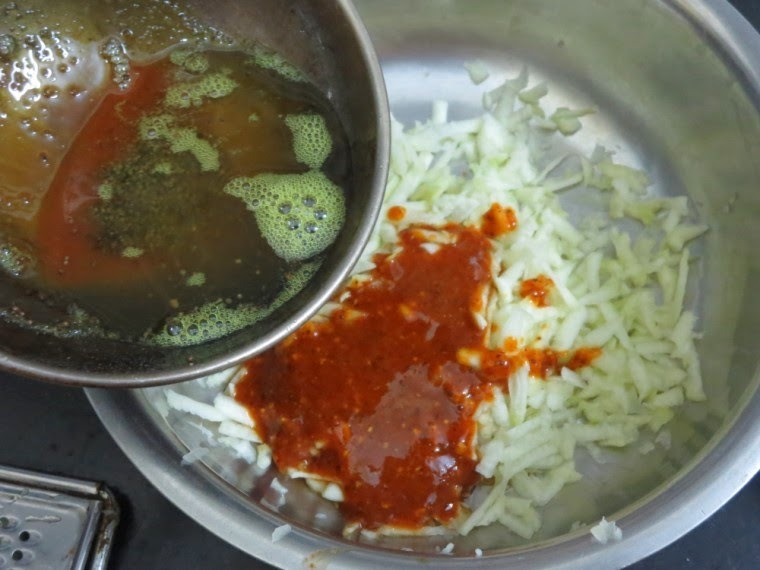 Mix the ground masala with the grated mango. Pour the cooled tempered oil mixture over the top. The pickle is ready to eat. It will last about 15-20 days. 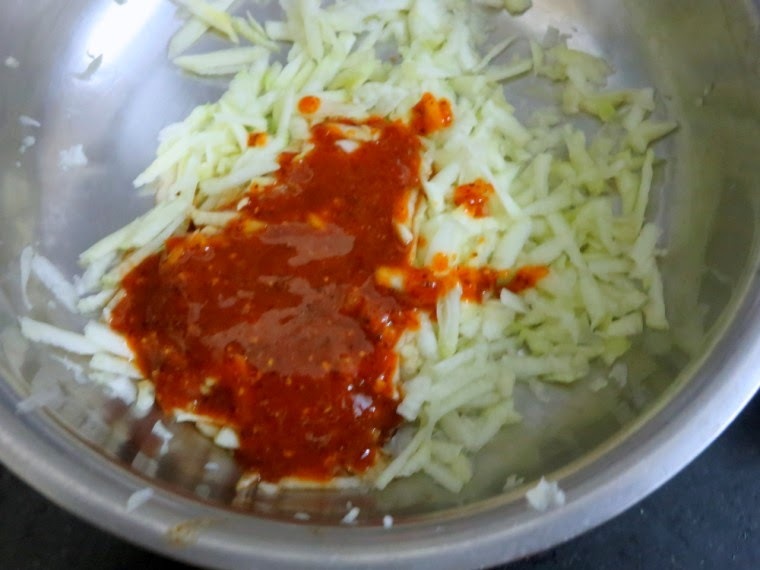 This pickle is usually made when raw mangoes are easily available as this pickle cannot be stored long term. 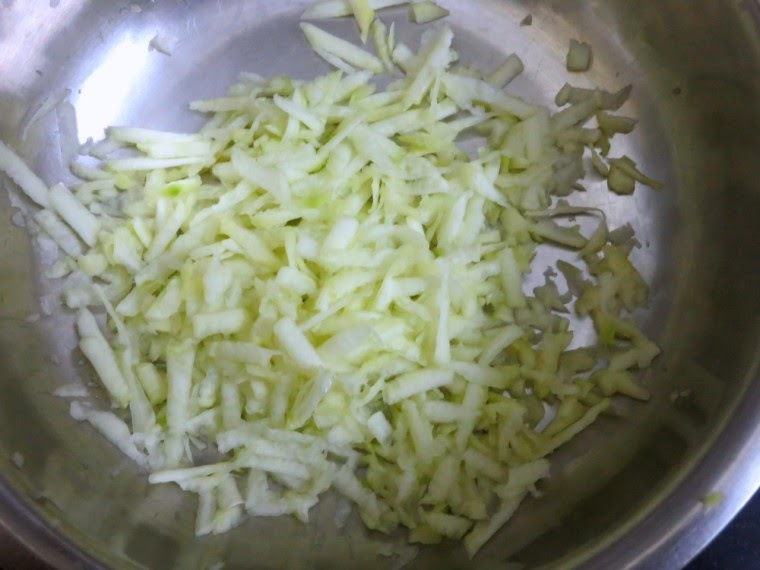 Varada suggested that the mangoes can be diced as small pieces as well. I would say grating using a bigger holes will make the absorption very quick and tastes much better. Adjust the red chili powder according to taste. Or use paprika for a milder flavor. You could use green tart Granny Smith apple in place of mangoes if you do not find raw mangoes. 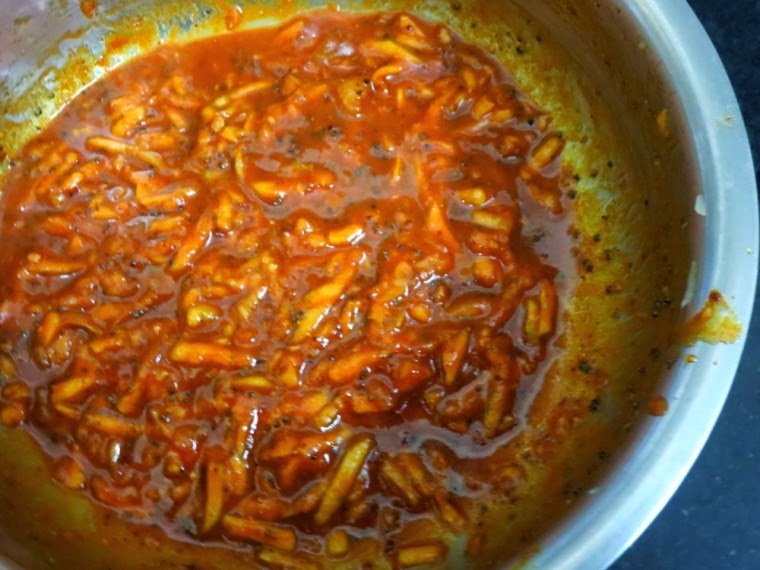 I made with just 1/2 cup of grated mango and adjusted the entire measurement. I felt one can easily increase the spice and suit to our requirement. 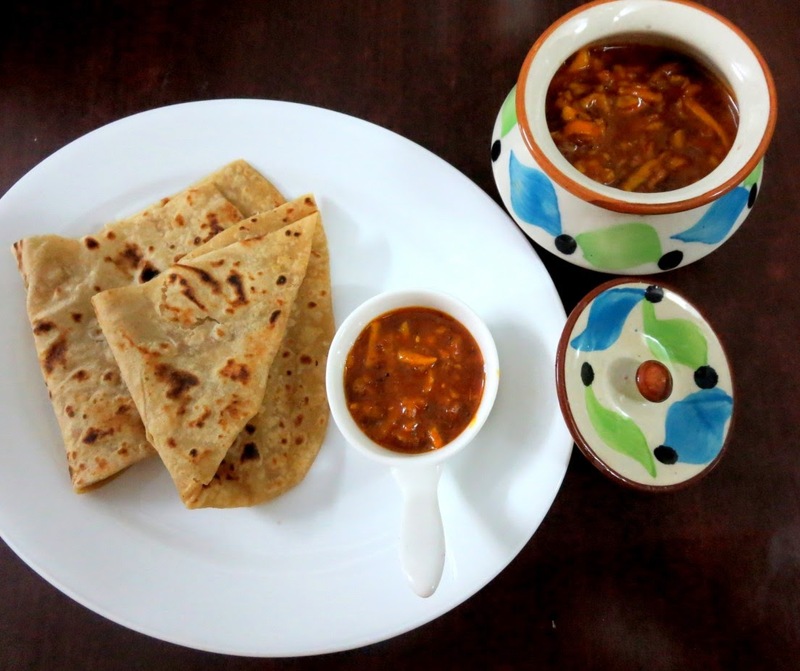 This makes a great dip for stuffed parathas.